Tree surgeons are an essential part of modern life - they make overhanging trees safe, they protect our buildings and they allow us to have a view from our houses and offices. But tree surgery can permanently damage a beloved tree and it can also cost a lot of money - so it's worth thinking about who you get to cut your trees. There's also a big difference between tree works in town where permissions are likely to be needed and for clearing overhanging branches beside a woodland, where the main danger will be traffic and you rarely need formal permissions. Woodlands.co.uk has to undertake a lot of tree surgery near to tracks, roads and footpaths: we take safety very seriously, only employing qualified tree surgeons and tree services companies. 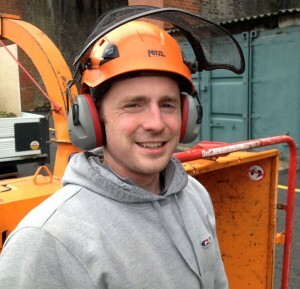 We recently came across a very effective, good value tree surgeon who has recently started up his own business - Sam Jones has his NPTC (National Proficiency Test Certificate) in chainsaw use and is fully insured. 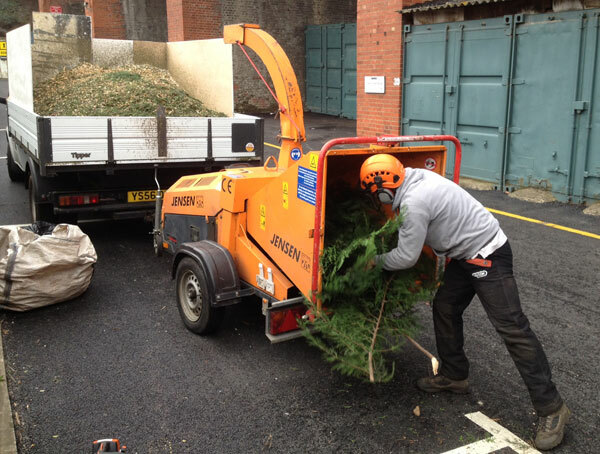 He also uses a chipper which is both amazingly loud and very speedy in chipping large quantities of cuttings. Using my phone, which has apps to do everything except tree surgery and washing up, I made a short film of Sam operating one of these chippers last week. Lots of Sam's work is in South London but he also operates further afield including Oxfordshire, and he decided to give his enterprise a distinctive and memorable name - Lemur Tree services. Once he's agreed to do a tree surgery job he will do the legwork for you - checking whether there are any TPOs (Tree Preservation Orders) or Conservation area constraints. There's a lot more to tree work than meets the eye. 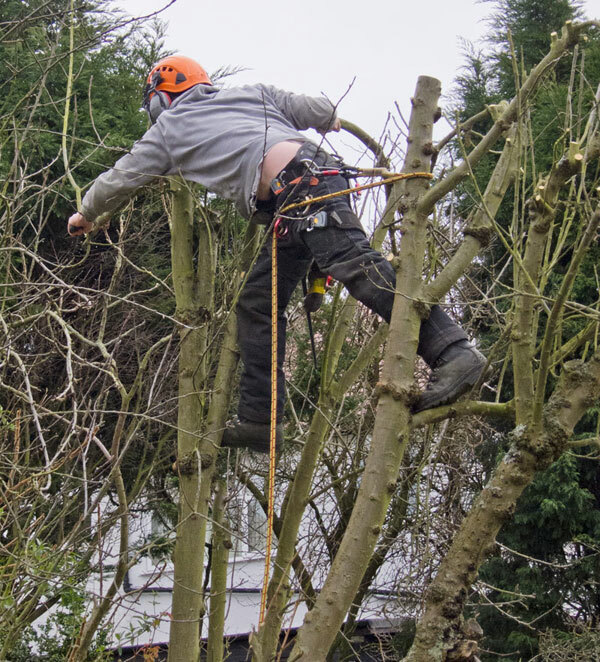 Climbing safely and using the right climbing kit is not easy and once in the right position a tree surgeon needs to use a chainsaw safely and effectively. If you watch one at work, he or she will usually think carefully about the more effective way of cutting a branch and often that means doing an "undercut" first under the branch so that when it is cut from above, it just breaks off. Other times the branch being cut will have to be roped so that the tree-cutter can determine where it lands. Great work Lemur Tree Services! Great post on spreading insight into the work that goes into the day-to-day. I am part of tree surgeon operation in Hastings [http://www.treesurgeryhastings.co.uk/] and came across this blog when researching. Keep it up! Would you be able to give us a quote to get a sycamore tree reduced please.